Russia and Canada led the world in the loss of tree cover in 2013, according to analysis of new satellite images by researchers and Global Forest Watch. Some 43,000 square kilometres of northern boreal forest were ravaged in Russia, due mainly to fires, in 2013, while Canada shed another 24,500 square kilometres — amounting to a "very significant" loss in tree cover, according to Dr. Nigel Sizer of GFW, an interactive, online forest-monitoring and alert system based in Washington. The data comes from GFW, the University of Maryland and Google. Both Canada and Russia have seen unusually numerous forest fires in recent years, something Sizer says might be attributed to factors including climate change. 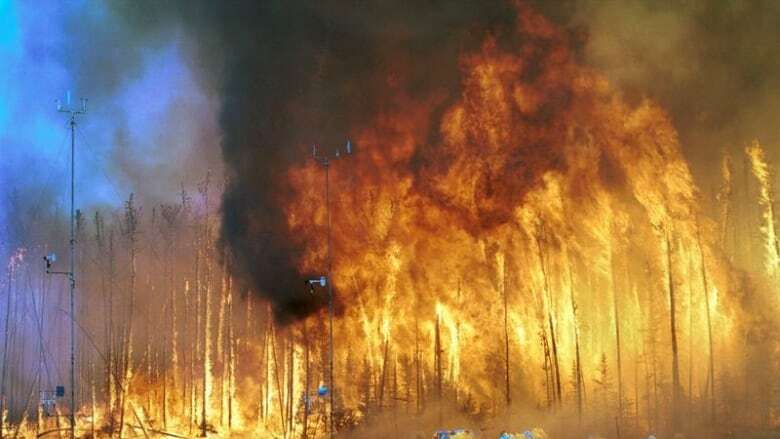 "Climate change models predict as it gets drier and warmer … you're going to see more fires in the boreal region," Sizer told CBC News. Researchers say carbon stored in the soil and trees of boreal forest does much to prevent emission of greenhouse gases. "Oil and gas exploration, and logging operations are stretching further north into those forests as well, and those might be factors contributing to fires and directly to tree cover loss." The fires could also be part of a "long-term historical pattern," he said. Losses due to fire are temporary, though boreal forests recover from fires more slowly than other forested regions. The losses are part of an overall upward trend, with 180,000 square kilometres of tree cover around the world disappearing due to factors including fires, permanent deforestation and harvesting. "The trend has sort of levelled off. What we need to see is bringing that line down. Bringing it down will help make a greater contribution to reducing greenhouse gases." There was good news in Indonesia, however, where annual tree loss dipped in 2013 to its lowest point in almost a decade. Sizer says more research is needed, but possible reasons for the improvement include a drop in agricultural commodity prices — most notably the decline in palm oil — and that much of the country's most accessible forests have been already cleared.